Paris will soon be more beautiful than ever. 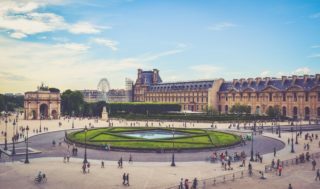 Thanks to an increased awareness of the influence of cities on environmental health and various environmental initiatives, in the coming years the French capital will be powering up its clean green factor in a big way. Following the landmark Paris Agreement – which was negotiated in the capital at the United Nations Climate Change Conference in 2015, and where heads of state agreed to limit global warming to less than 2°C by the year 2100 – the city started implementing various new practices in order to limit its environmental footprint. According to Lonely Planet, in recent years, the city of Paris has taken several steps to establish eco-friendly transport and fewer cars, renewable energies, riverbank parks reclaimed from expressways, vegetated rooftops and while hotels and restaurants are encouraged to make use of sustainable products and local produce. The development of green spaces in Paris took flight a few years ago. 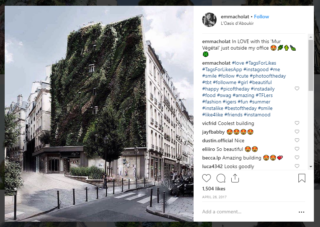 This included the greenifying of the exteriors of buildings, in the form of living walls or ‘murs végétaux’ – such as the stunning L’Oasis D’aboukir, which incorporates about 7600 -plants from 237 different species – along with the building of new parks and walkways, such as the Jardin Truillot. In addition, the Promenade Plantée – which is the world’s first-ever elevated park, situated atop a disused railway viaduct – provides a modern take on public parks. 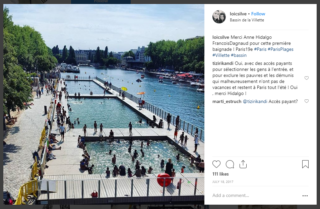 The creation of recreational spaces and the Paris Plages, which were set up along the Seine since 2002, also helps to bring respite from the heat of summer. However, for all its glitz and glamour, Paris has very little green space. According to BBC News, only about 9,5% of the city’s surface area consists of city parks. In a city where something like space is notoriously dear to acquire – and a backyard garden is a privilege only the super-rich can enjoy – a need had grown for public land to be used in a more communal manner. Now that has been made possible, with city dwellers being able to buy what is known as a permit de vègètaliser. This license allows residents to plant gardens on street pavements and small sections of public land – thereby employing this space for better use. Parisians who want to be allowed to use this public space need simply apply for a license at City Hall. This license is valid for three years, and it is free. BBC explains that the city encourages bee-friendly plants, and no chemicals are allowed. 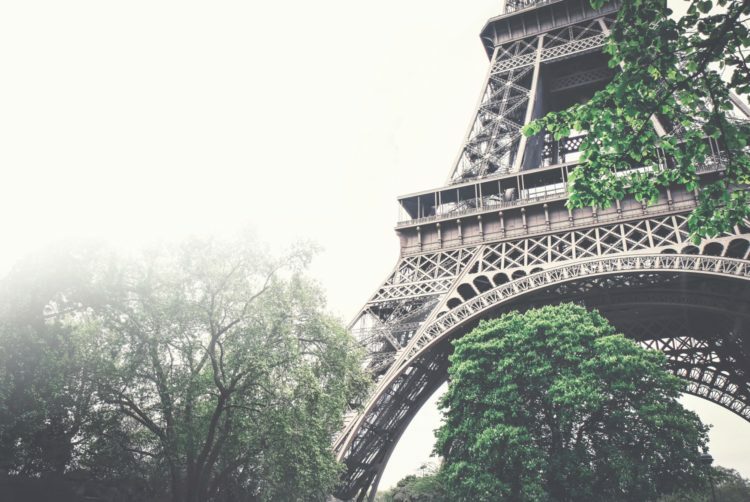 Speaking to the BBC, Arnaud Le Bel Hermile from the Mayor’s Office says that more greenery in the city may help to manage the climbing temperatures and heatwaves, which Paris will likely be facing in coming years. Allowing city residents to grow gardens in public spaces like city streets will not only involve people in the management of these environmental issues, but it will also bring people closer together and give land back to the people – even if it is only a small patch of soil. Moreover, the benefits of increased greenery in cities cannot be overemphasized. Not only does greenery make for a more appealing sight, but more plants and healthy gardens provide better air quality and oxygen, it cools down the average temperature, and supplies fresher food to residents. 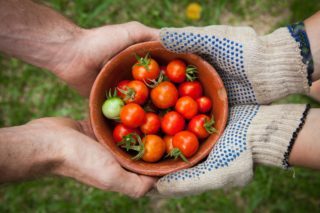 Moreover, gardening has been proven to be an important element of longevity – the Okinawans reportedly attribute their long, healthy lives to daily time spent working in their gardens, growing their own food. This policy has resulted in a lot of positive changes for the city, such as barren, unattractive squares becoming beautiful again through the help of local homeless people. The city incorporated the help of these individuals, who sleep in the squares, in order to grow healthy plants in these spaces. This has improved the morale of these individuals, and as Le Bel Hermile explains, this gives people a sense of responsibility and belonging. The final plan with the growing greenery in Paris is scheduled to culminate in 100 hectares of green roofs ‘murs vegetales’ and facades within two years from now, with a third of this which is to be employed for urban agriculture. Finally, in terms of sustainable energy, Paris is aimed to be entirely powered by renewable energy sources, also by the year 2020.